The Sony RX100 has won pride of place in our group test of the best premium compact cameras. 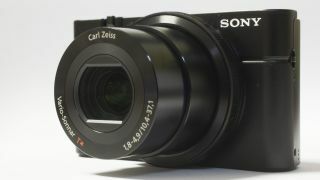 Announced in 2012, the RX100 features a large, one-inch CMOS sensor. Other cameras in the test included the Nikon P7700, Olympus XZ-2, Fuji X20, Canon G15 and Panasonic LX7. The RX100 is notable for having a larger sensor than the others on test, which seems to have borne out in the resulting images. Last year, the RX100 scored an impressive 4.5 stars in our individual review. Our group test of premium compact cameras last year put the Fuji X10 on top. While the X20, that camera's successor, has performed well, it hasn't been able to topple the Sony's results. In the group test, we say this about the winning camera: "Super-slim yet power-packed and rich in features, the Sony RX100 makes the most of its oversized 20.2MP image sensor to deliver sublime image quality, and is one jump ahead of the other compact cameras here." Premium compact cameras are generally distinguished from their point-and-shoot counterparts by the ability to take full manual control over shooting parameters and the capability to shoot in raw format.